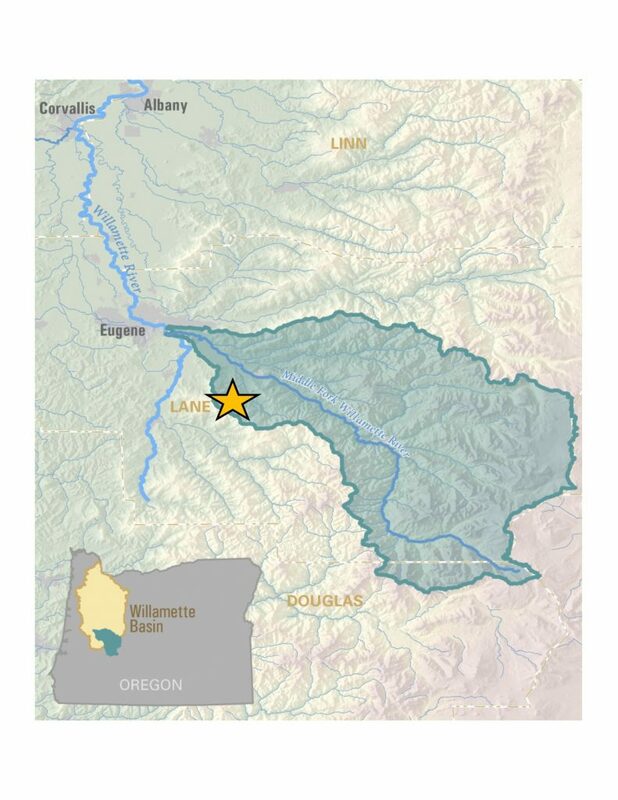 Lost Creek is an undammed tributary of the Middle Fork Willamette River that provides access to critical habitat for many important fish species like spring Chinook, winter steelhead, and lamprey. 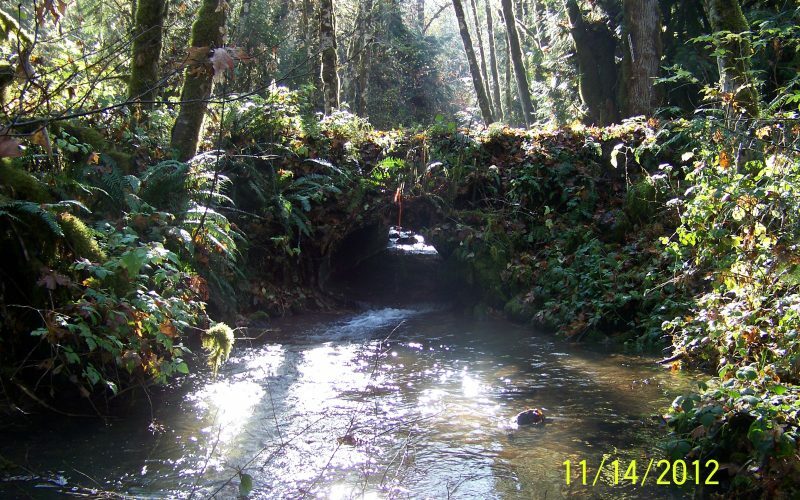 However, many of Lost Creek’s tributaries have culverts that prevent fish from traveling upstream. 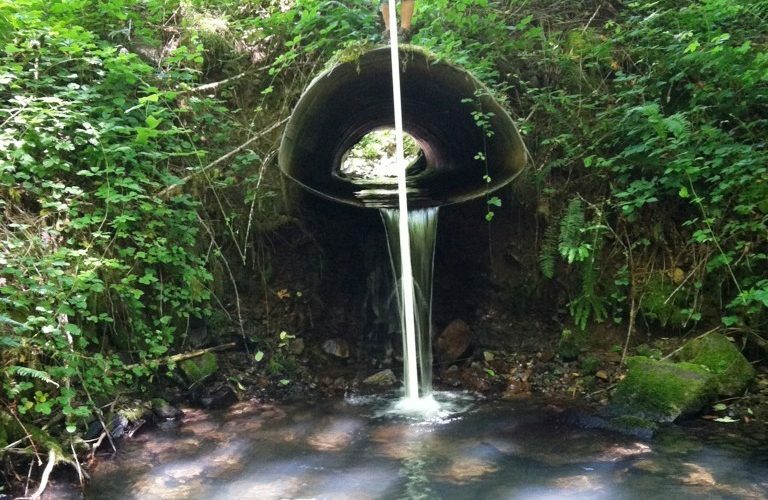 In 2012, we completed an inventory of culverts in the watershed and prioritized them for removal. 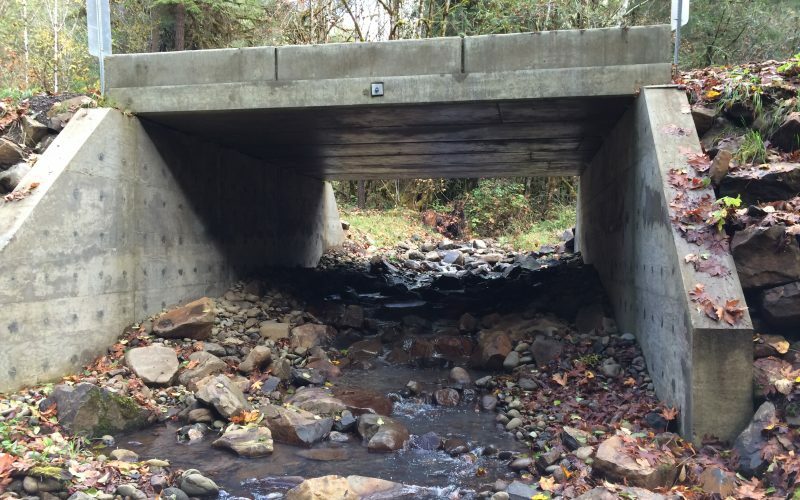 In partnership with Giustina Resources and the Bureau of Land Management, we removed two of these culverts on tributaries to Lost Creek and replaced them with bridges that do not constrict the stream or limit fish passage, opening up several miles of habitat above the road crossings. 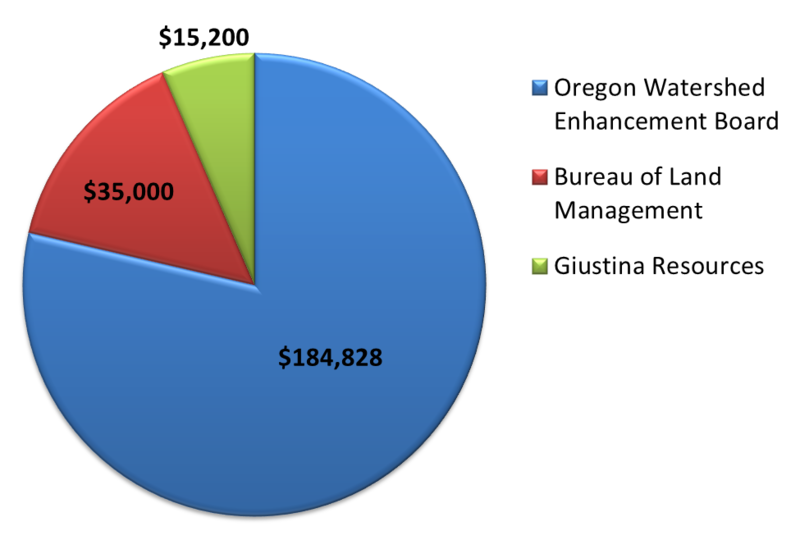 The project on Giustina Resources land took place in 2014 on Carr Creek while the BLM project occurred in 2015 on Eagle Creek. 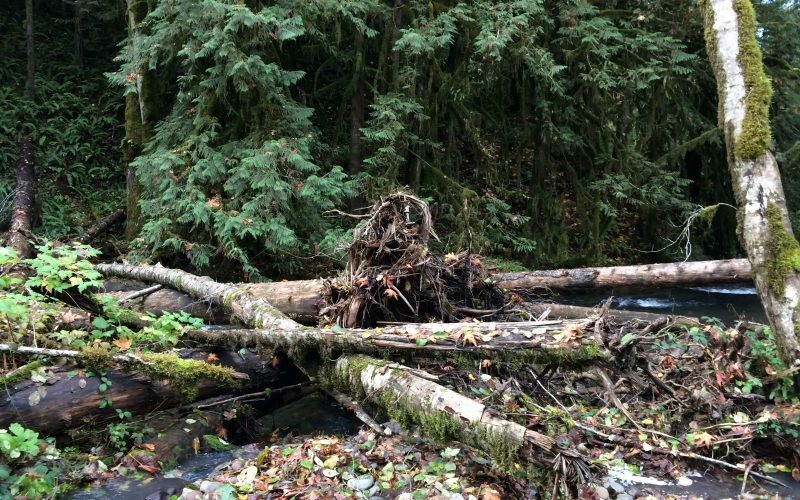 We also placed dozens of pieces of large wood in the stream to add complexity to the habitat. Before and after shots of Lost Creek at its confluence with Eagle Creek. 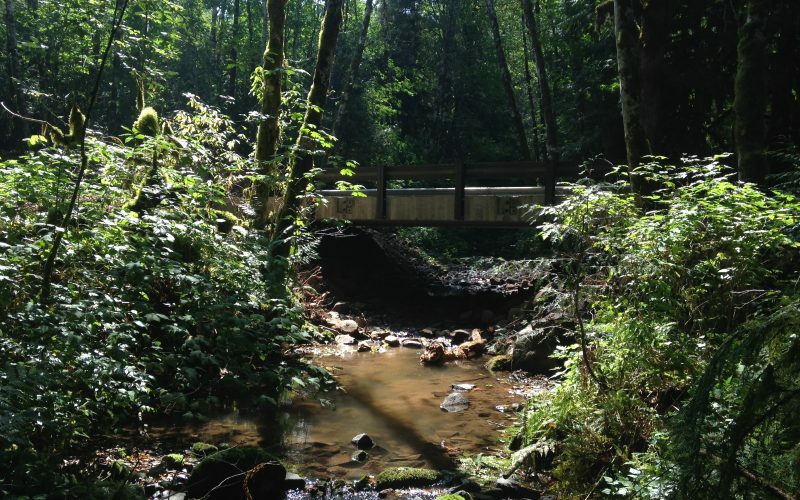 The newly added wood in the stream improves habitat for fish and other species, slows water velocity, and captures and stores sediment, gravel and organic material. 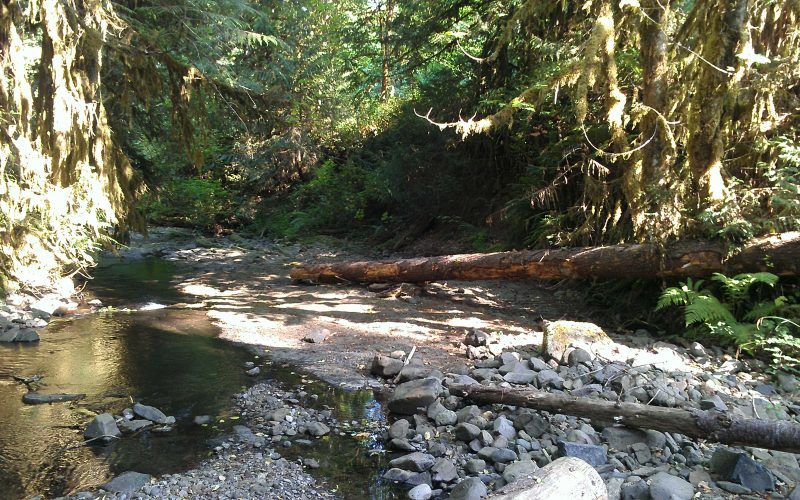 Before and after photos of the Eagle Creek road crossing. The perched, undersized culvert did not allow fish to pass upstream; with the new bridge in place, fish can easily move upstream and stream function has returned to normal. Before and after photos of the road crossing on Carr Creek. The new bridge allows for fish passage. Giustina Resources was a key partner in making this project happen.